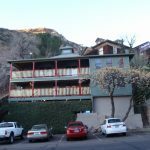 Bisbee, Arizona – Cute but COLD! 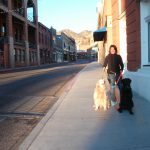 It feels so long ago that we were in Bisbee, Arizona, but in reality it has been not much more than a month. 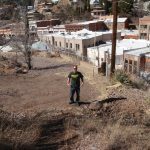 I think the fact we covered so much ground after Bisbee and have since then been in the same spot for a few weeks makes it feel much longer, like a distant memory of adventures in the past. 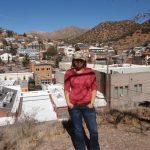 Back when we were in Tombstone, we decided to take a day trip to Bisbee to see if it was worth hauling our Airstream all the way there, or just taking a trip or two from Tombstone since it was only about 25 minutes away. 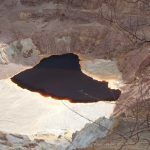 After seeing the town for the first time, we decided that it warranted a stay for a week and booked a spot at the Queen Mine RV Park in Bisbee. 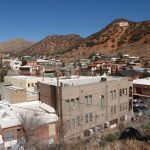 Bisbee is a really cool town of about 6200 people, situated in a little mountain valley at almost 5600 feet in elevation. 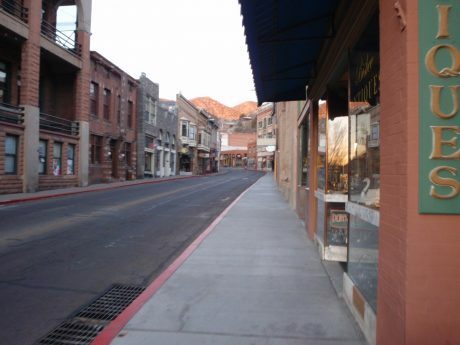 Most of the residents dont’ live in old town, so it feels even smaller and considering during their mining rush in years past the population was around 35,000 it is referred to by many as a living ghost town. And by little mountain valley, I mean little! 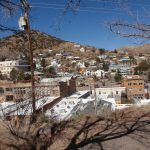 Old town Bisbee is nested basically a crevice between the road that leads down the mountain and the mountain itself on the left side of the road. Here’s a picture looking down the main street, and one at the overlook on the side of the highway. 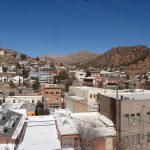 These winding, hilly and narrow streets add to the charm, giving the town an old world European feel, which one would not expect only a few miles from the Mexico border. The main street is lined with 2, 3 or 4 story buildings who’s walls at the property line touch each other, very much like any other storefront area, and these similar buildings are sprinkled on the adjacent streets leading away to the north for about a block, if you can call it that – the blocks are very, very short in this direction and in some cases only about 3 storefronts long. Above these storefronts, just a stone’s throw back up the mountain are houses that would give you a serial marathon runner’s legs if you walked to and from town on a daily basis. It’s no wonder everyone who looked like a local was thin. This is one place that defy’s America’s obesity epidemic fueled by Walmart since not only do they not have a Walmart, they have an environment that provides a workout when you walk to just about anything (including your mailbox) and the town streets are so narrow and filled with tourists that driving isn’t a very viable option. 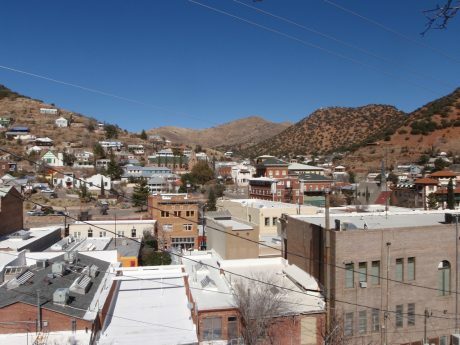 And then there’s the rest of Bisbee outside of the old town area which is not very exciting, so I’ll just skip it. 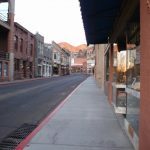 While we knew that finding summer was out of the question during our trip to Bisbee, we were expecting temperatures near freezing at night and in the low to mid 60’s during the day similar to Tombstone and a bit colder than Phoenix, Sedona and Tucson. 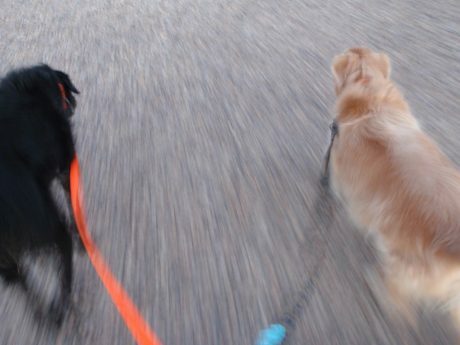 At first this was pretty much what we experienced, but then the weather changed big time! The winter storm that hit the rest of the country reached us as well and one night saw a low of 4 degrees, with the high being near freezing during the day. We had a number of electric heaters on full blast all day and night, and had to go dig through our neglected snow gear in the back of the truck to get warm clothes in order to be able to walk outside. 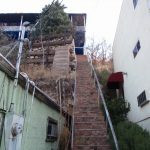 This put a pretty big damper on our time here, although we were able to enjoy a few days sitting on sidewalk cafe’s and on all but the coldest days we walked a few miles each morning down the hill from the RV park which was situated very conveniently right at the south end of old town, up the hill to a coffee shop. 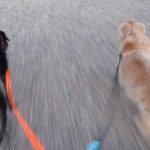 The dogs seemed unfazed by the cold, and maybe even rejuvenated by it as they happily tugged on their leashes all the way up and back, day after day of walks. go to Douglas for the day and cross into Agua Prieta, Mexico in hopes that a larger town might have better selections at the pharmacia and more things to look at in general. I’ll update with a separate post about Agua Prieta, but I will say Douglas was the worst town we’ve been to yet. Douglas has all of nothing going on. Neighborhoods are dilapidated and have a lot of deserted looking houses, while the main street had about 4 restaurants to pick from for lunch, none of which looked decent. We ended up picking a Mexican restaurant that looked the least offensive, thinking we’re so close to Mexico so we should at least get half way decent Mexican food. Wrong. The place was terrible, but the server was really nice which was the opposite of the cold personalities we experienced at every place in Bisbee so we didn’t want to complain and finished as much of the less than mediocre food as we could and then headed back to Bisbee after a few errands, such as picking up my perscription from Walmart at a cost of about 100 times more than it would have cost if we would have found it in Mexico, and the lady getting her hair colored to stay looking young. 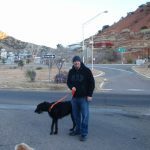 Enduring the cold in Bisbee much longer than we really wanted to, we decided to leave town a few days early since the weather was forecast to continue being in the single digits at night and near freezing during the day. 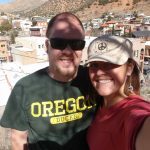 We headed back to Tucson where it was only freezing at night and low 40’s in the day time so we could let our extremities thaw.